Lily Jones has been selling her cakes under the name Lily Vanilli since 2009. She opened her first bakery in 2011 on Columbia Road in East London. She runs a cake and cocktail private members club and is one of the founders of The YBF Awards. 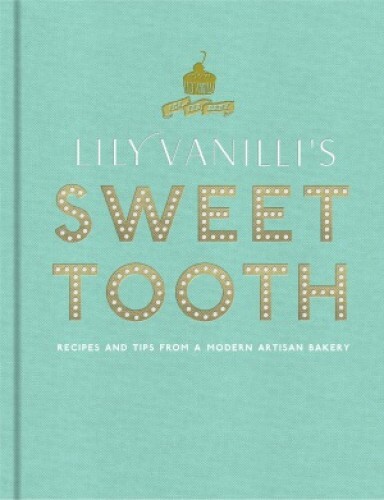 In Sweet Tooth, Lily takes you behind the scenes of her bakery and shows you how to master some of the core skills of baking - the cake, the custard, the coulis, the pastry, the ganache and much more - arming you with the skills you need to develop your own recipes, and move beyond the cupcake once and for all. Packed with over 100 inspirational and easy to follow recipes for layer cakes, tarts, biscuits, meringues, confectionary and ice creams, Lily shares her invaluable tips and decorating techniques.